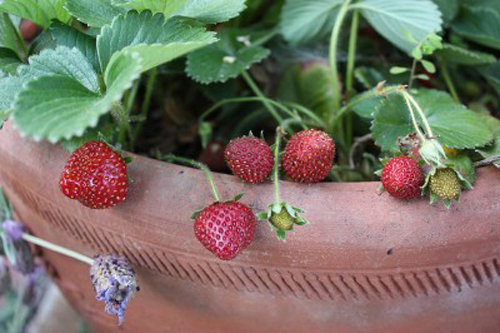 Need A Reason To Eat Your Own Strawberries? 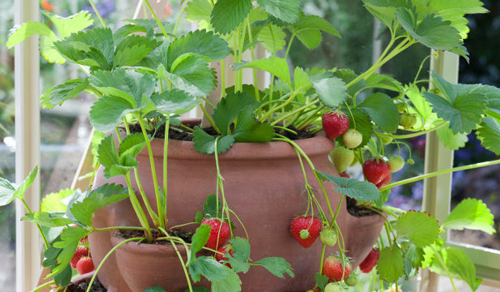 Ok, - over the last year we have explained how to grow berries of all types along with information about how to plant them and why using a "Strawberry Jar" is a great way to go. Live Longer! 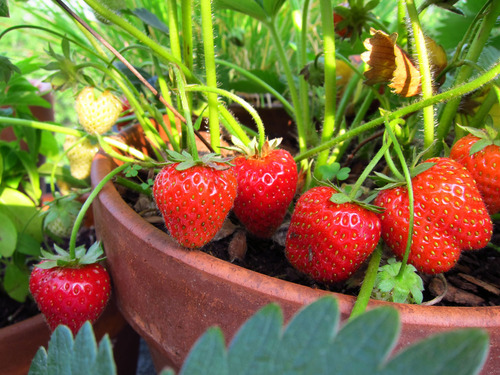 Just like aspirin and ibuprofen, planted strawberries block an enzyme called COX from causing strokes and heart attacks - but without the side effects! Look Great! The fruit's filled with alpha hydroxy acid, the same ingredient in many skin products. Eating a handful each day can help keep your skin soft and smooth, or benefit from the outside in by cutting a strawberry in half and rubbing it directly on your face; let sit for 3 minutes and then rinse. 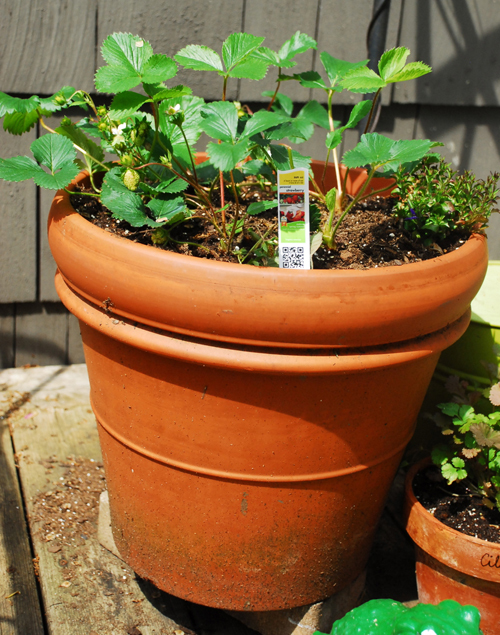 It is so easy and handy when the pot sits right outside your kitchen door. Boost Mood! Beat the blues and pep up with these juicy gems: They're packed with folic acid and other B vitamins, proven in studies to reduce depression and increase energy. Live Longer! Potted Raspberries contain almost 50% more immunity boosting antioxidants than strawberries, three times more than kiwis, and ten times more than tomatoes, according to new research from the Netherlands. Look Great! The anthocyanidins that give the planted raspberries their deep red color also strengthen collagen fibers and protect skin tissue, leading to a smoother, younger complexion. So come on - try just one pot of berries and see what you discover!